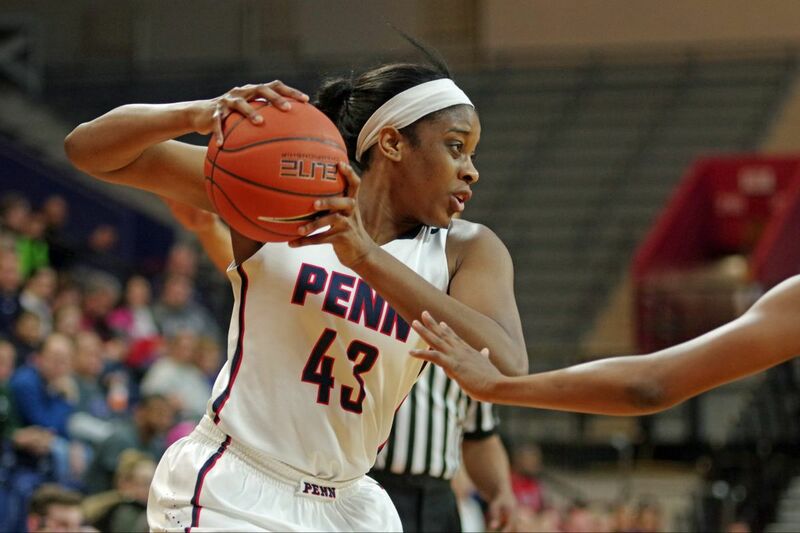 Michelle Nwokedi's career-high 30 points helped push the win streak to nine for the Quakers, who are battling atop the Ivy League.Penn stayed even with Princeton for first place at 6-1, just one game back of the Tigers (16-4) in overall record. Nwokedi, the only Quaker in double figures, also led the team in rebounds with 8. Lauren Whitlatch followed with nine points, all from behind the arc. Alyssa Monaghan and Sarah Veilleux scored 17 apiece as the Hawks soundly defeated their Atlantic 10 rival.Adashia Franklyn had 11 points while Amanda Fioravanti added 10 in handing Duquesne its first home loss this season. Saint Joe's shot 44.4 percent (8 of 18) from three.The Hawks reached a 7-5 conference record (12-12 overall). A late rally by the Spiders left the Explorers in the dust at home.Richmond ended the game on a 10-4 run, after La Salle led by three with 4:16 to play. Adreana Miller and Sofilia Ngwafang each had 12 points for La Salle (3-9 A-10, 8-17 overall). Tanaya Atkinson scored a team-best 17, but a slow start offensively hampered the Owls.Temple (2-9 AAC, 10-14) was held to just 15 points for the opening half in the team's second-consecutive loss. Gedaka shot 8-for-10 from the field and went 4-for-6 from the free throw line. She also had five rebounds, three assists, and three steals. Alex Louin had 15 points and 11 rebounds for a double-double, and Jannah Tucker added 13 points. Villanova has won four straight, and stands at 19-5 overall and 9-4 in conference play. Alisha Kebbe led St. John's in scoring with 15 points. Maya Singleton recorded a double-double with 11 points and 18 rebounds.